I had heard much and very well the Hue of Phillips bulbs, but the truth is that until you don’t have them in your hands, you do not really the idea of all the possibilities offered both at the level of lighting and decoration. Do you imagine a? lighting system that you control from the mobile phone Thanks to an application with which you can change the color and intensity, depending on if you are at home having dinner with friends, reading or working? So it is roughly the lighting system Philips Hue. A lighting system that seems to be brought from the future with endless possibilities and that helps you to create your ideal lighting with the only limit that is your imagination. 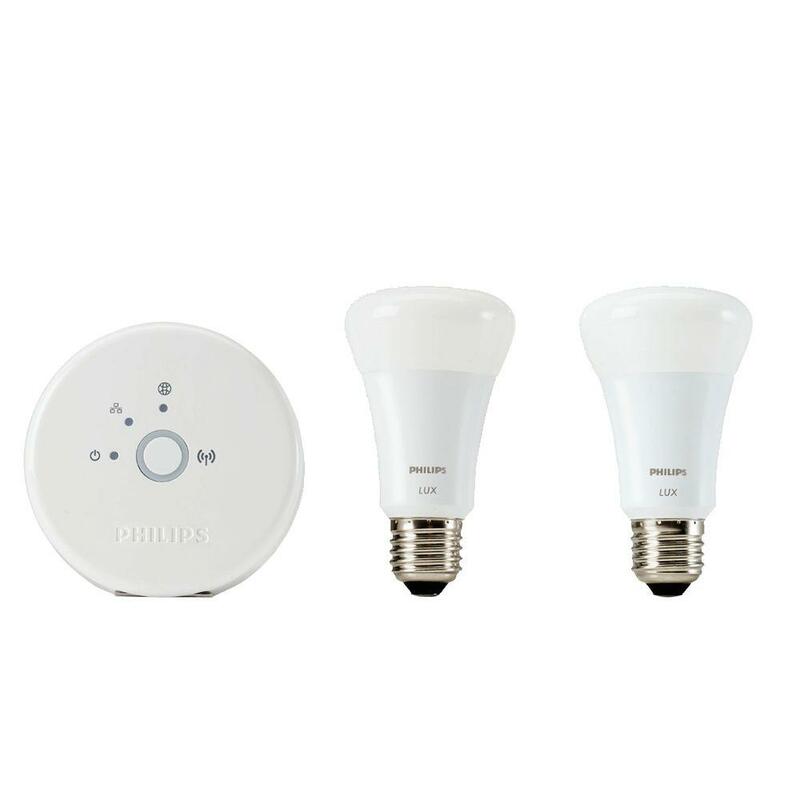 Led Philips bulbs come in a kit composed of three bulbs of 600 lumens with consumption of 8.5 W by a control system which can be operated up to 50 bulbs of this type in our House. These innovative bulbs they connect to the internet through our home wifi network, and can be controlled from the smartphone or tablet. 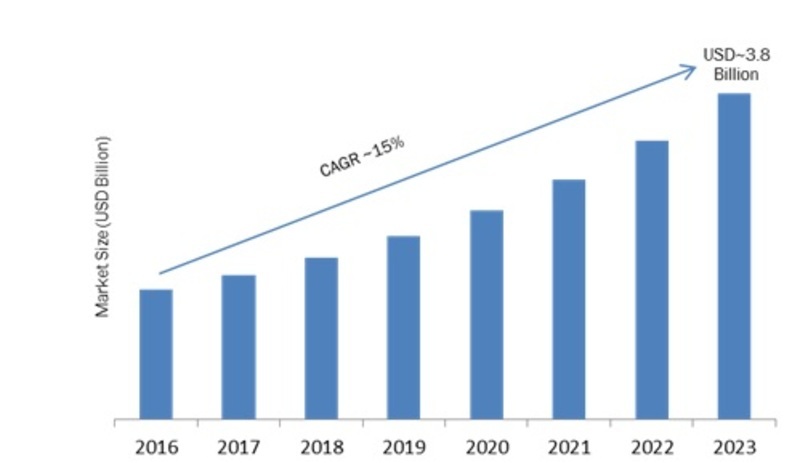 Thus, at first sight, and given all the features that this system has, it might seem complicated to install and manage. But nothing is further from reality. 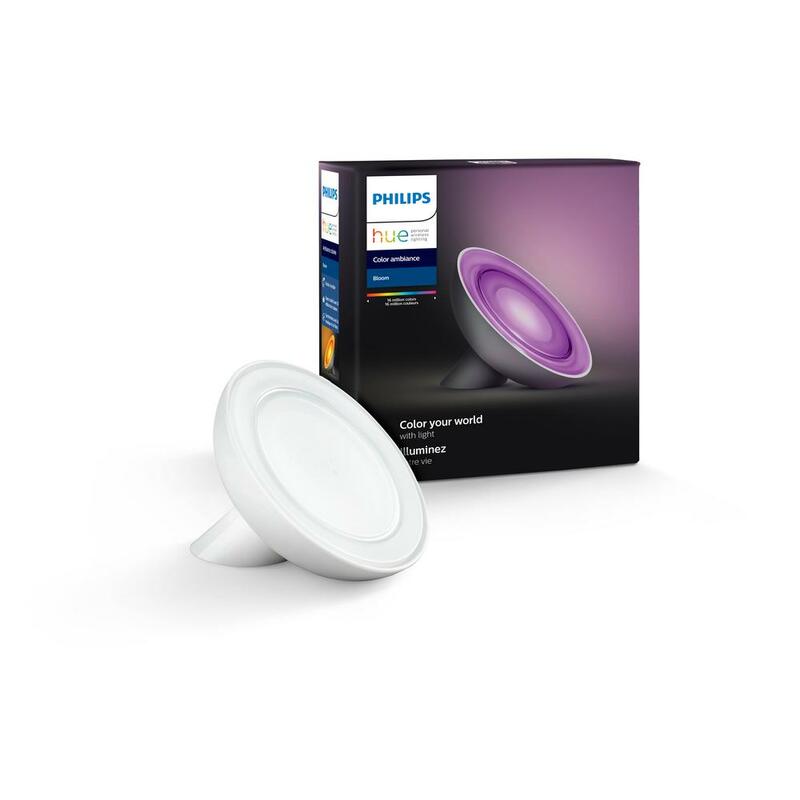 The Hue of Philips light bulbs are very easy to install. The first thing you need to do is place in the lamp holder. Then you have to connect control system to electric power and wifi. The next step will be Download the app on your smartphone you control the device using the NeoReader. Once downloaded, the application will automatically detect your bridge, and will be connected to the bulbs. You turn on the lamp, and begins to discover all the options available on this system and customize your home lighting. As you can see, easy, fast and intuitive. What can you do with the Hue of the Philips system? With these bulbs, will no doubt change your way of seeing the light at home, since You can play with the tone, contrast, white light and the color spectrum to achieve the desired lighting. Through mobile phone, you can turn off and on light bulbs, regular color and intensity, and even schedule them. The application itself already has a number of options to change color. Using photographs already installed in the program itself, or photos of your own library, You can convert these images in a fun and simple color palette to change the light from each of these wireless lights. Simply, you must drag the pointer to the part of the picture is the desired color, and Hue bulb will quickly change to that color, so Recalling that so intense blue of the Greek Islands, Orange, Brown and yellow in the autumn of your last trip to the Pyrenees, or the bright red of the impresioanantes Madrid sunsets. And if you liked your latest creation, you can save it as scene for use again when you want to. The best of this lighting system is the possibility of customize our House lighting for every moment. In fact, the possibilities are endless. From the white light for mornings or for the moments in which you need normal light and do not want force too view, until tones more Dim, yellow warm or orange for the afternoons or the most intimate moments. Reds, yellows, oranges, blues, violets, Greens… the combinations are limitless. But in addition, aside from colors, these bulbs also has some You presets to adapt to the different moments of our life. For example, you have a practice white light with a certain tone and shine that will help us to focus. In fact, Philips said that it has tested this adjustment of lighting in schools and that this light option has helped children improve their performance. If instead of focus, what you want is to relax, these LED lamps are another option that gives off a the warmer light to relax, ideal for when we come back exhausted work. If you like to read, another of the preset is intended to issue a dimmable light for reading, While if you need energy, Philips Hue has another option that emits a white light that will help you to recharge batteries and strengthen your body and mind thanks to a bright and vibrant light. If you thought that Philips Hue remained only in the possibility of creating the right atmosphere for every occasion, are completely wrong. For example, you can use this system as light alarm clock, programming a light that simulate dawn and that go to rise in intensity until you wake up, or to turn off lights at night when the kids have fallen asleep. That change color when you have to get dinner in the oven, or you want to remember something. In addition, Philips Hue also allows you to activate the lights just when you are entering through the door geofencing technology, or schedule its on if you’re not at home so the bad guys think that you are inside instead enjoying a wonderful holiday in the Caribbean, setting the different rooms so they light up at different times. It is best that if you forget to program the lighting of the lights, you can do it wherever you are, since You can remote control them. Ultimately, the experience of enjoying a few bulbs home as the Philips Hue as to bring the future to your House, for its easy handling and because help to improve the comfort of the housing with the wide range of possibilities offered, both decorative and functional. No doubt a good product to add to the wish list of gifts for the home this Christmas.